Step 1 Excavate to depth required that will eliminate frost from going under pier. 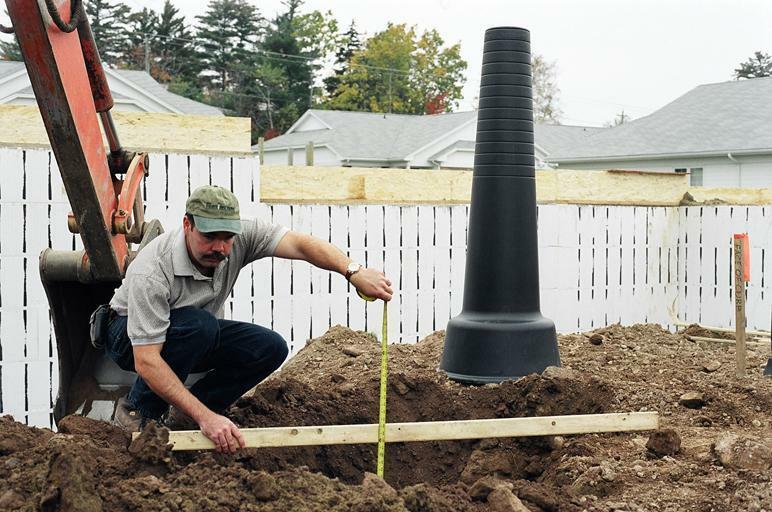 Local building officials will be able to provide frost depth information. Center marking is provided on Safety Top for easier location. Set level on top and move bottom of tube to desired location. 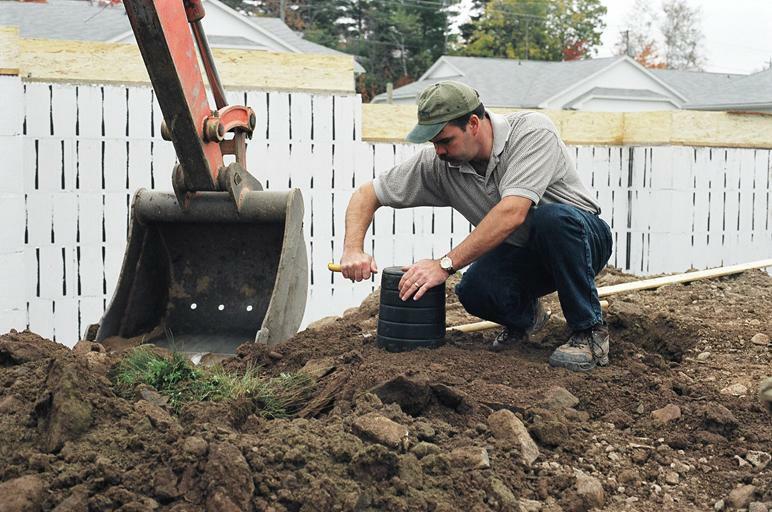 When position is determined, place some dirt around base to hold it in the desired location. Compact with foot while holding tube level. 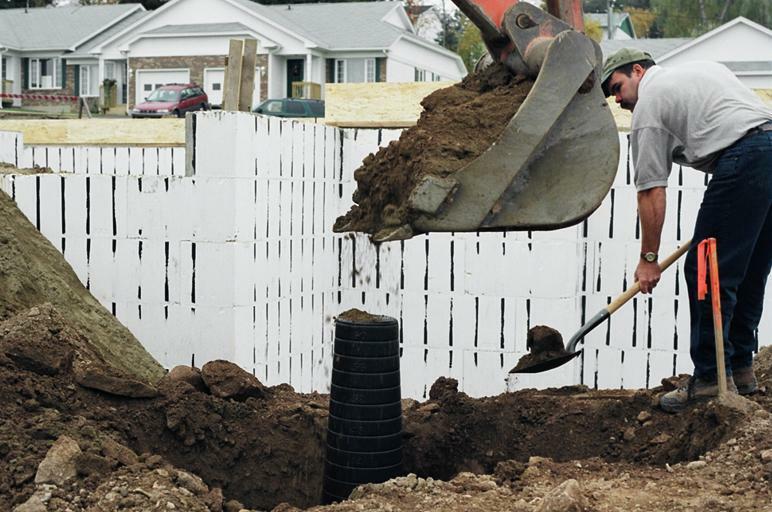 Check location of pier again and backfill with machine or shovel by placing material equally around tube. 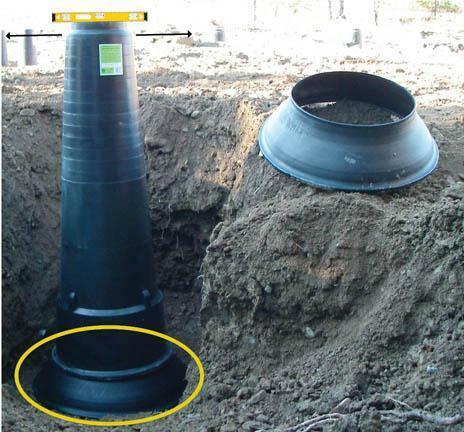 Backfill to grade required for frost protection or the minimum requirement of 36″ before filling with concrete so tube does not float up with concrete pressure. Note that large rocks should be kept away from side of tube. Remove Safety Top along scribe line and fill with concrete to desired height. Do not remove top until you are ready to pour your concrete so nothing will fall into open pier form. Determine the required height of the concrete pier and remove Safety Top using scribe lines with knife or saw at this location. Pour concrete and set anchor means that are required. Install FTB30 in desired location. Step 1B Adjust Footing Tube and make level on FTB30. 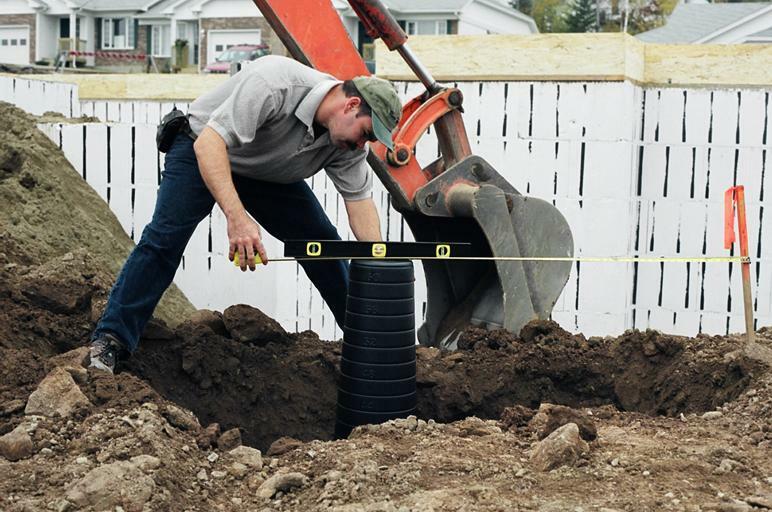 *Footing Tube can be secured to the FTB30 with screws to stabilize. Copyright © 2018 The Footing Tube. All Rights Reserved.